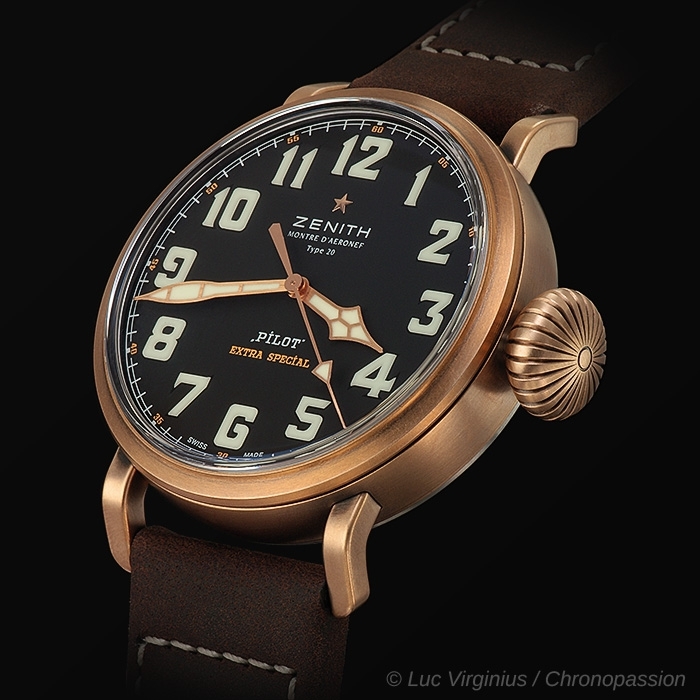 Zenith | 6'900 € Tax inc. 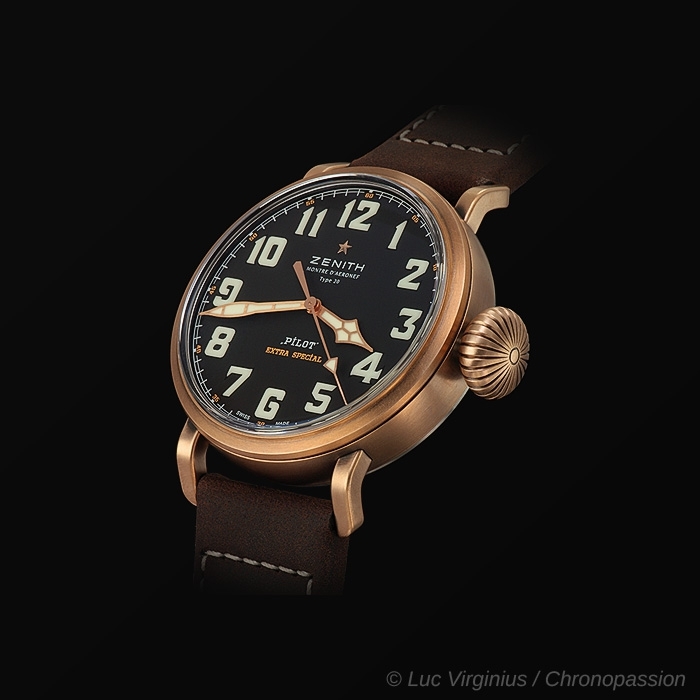 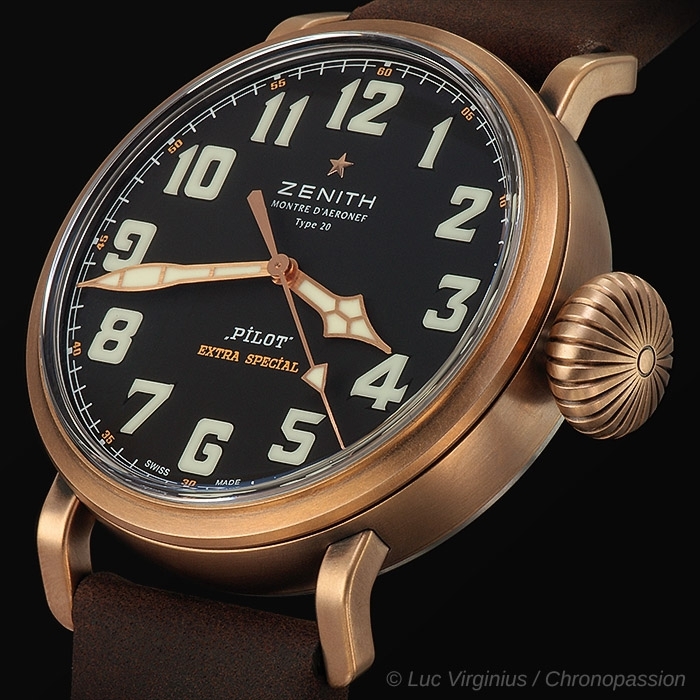 The Pilot Type 20 Extra Special with its new bronze case is making a noteworthy entrance into the collection of Zenith aviator watches. 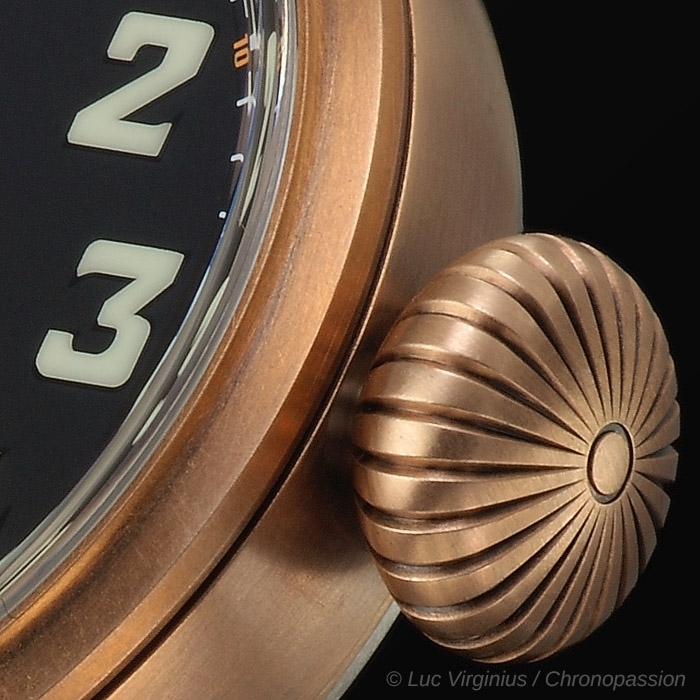 Bronze, a particularly resistant non-magnetic copper and tin alloy, acquires a natural patina as it oxidises, thereby accentuating the vintage appeal of this legendary appeal. 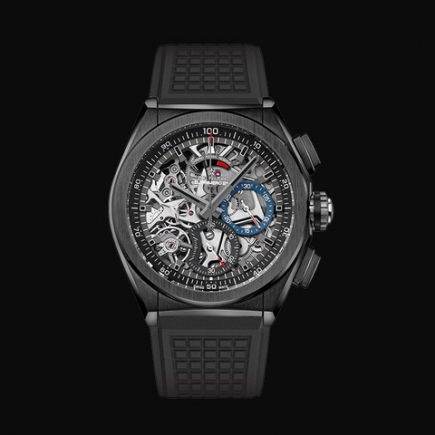 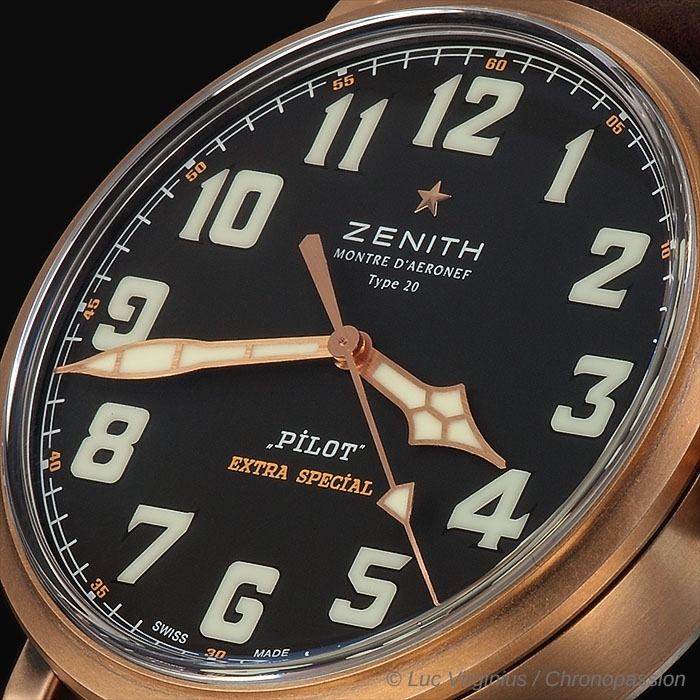 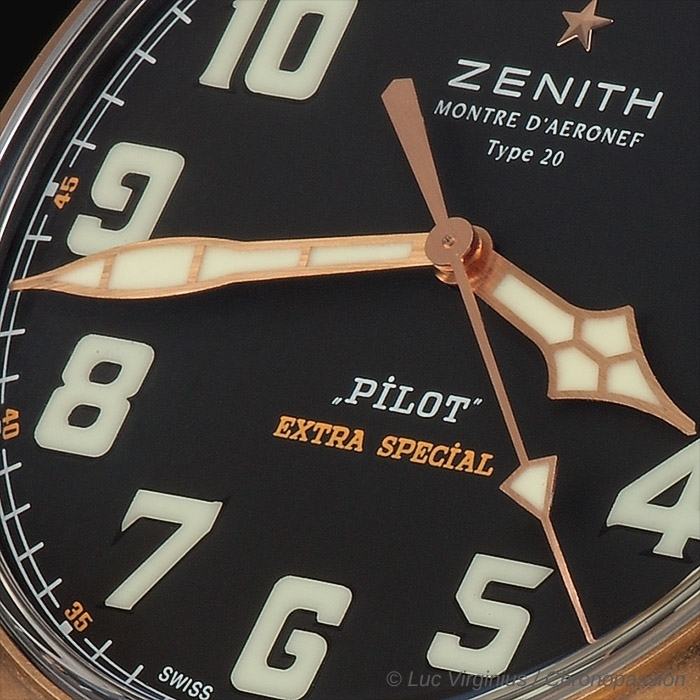 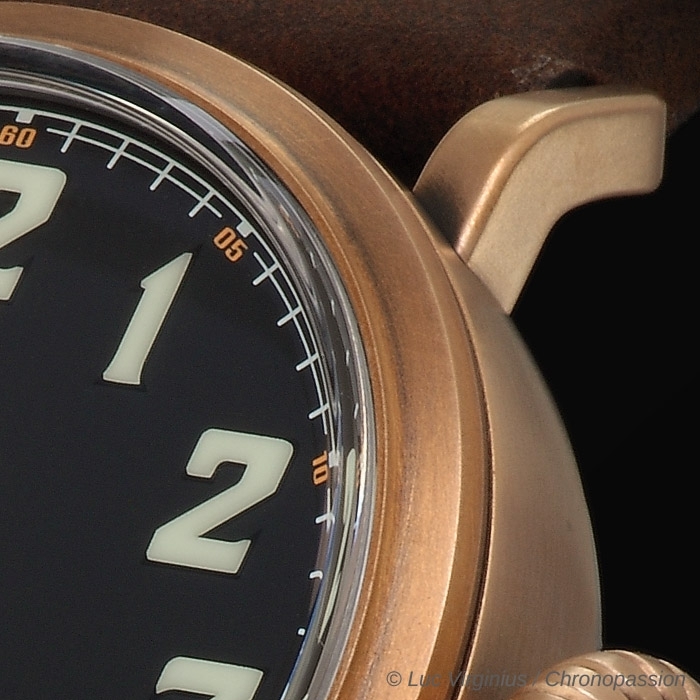 Testifying to the pioneering role played by Zenith in developing flight instruments in the early days of aviation, the new Pilot Type 20 Extra Special is endowed with all the original attributes of a pilot’s watch: oversized luminescent Arabic numerals ensuring impeccable readability, as well as a large ratcheted screwed-in crown enabling adjustment with gloved hands. 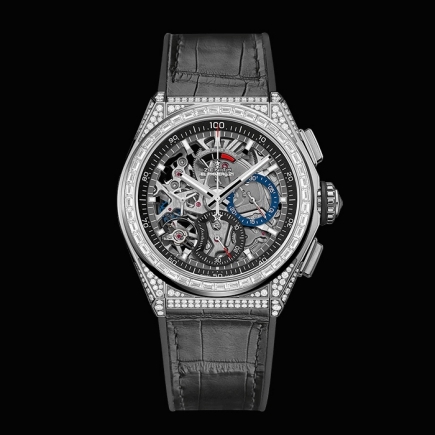 Enhanced by a domed sapphire crystal, its functions are distinctively displayed on a broad matt black dial framed by a minute track, while the imposing Arabic numerals made from blocks of white Super-LumiNova® and the faceted luminescent hands reinforce its vintage elegance and its optimal legibility. 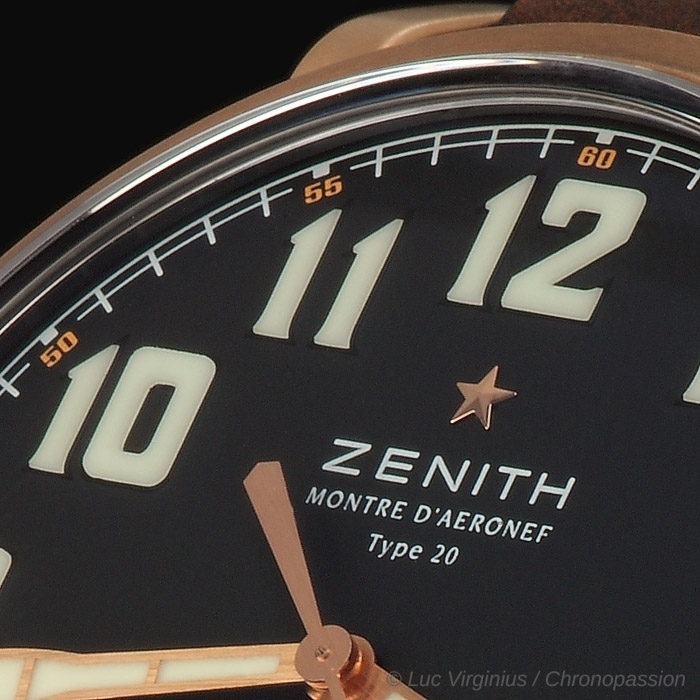 At the heart of the generous 45 mm bronze case that is water-resistant to 100 metres beats the automatic Zenith Elite Calibre 679. 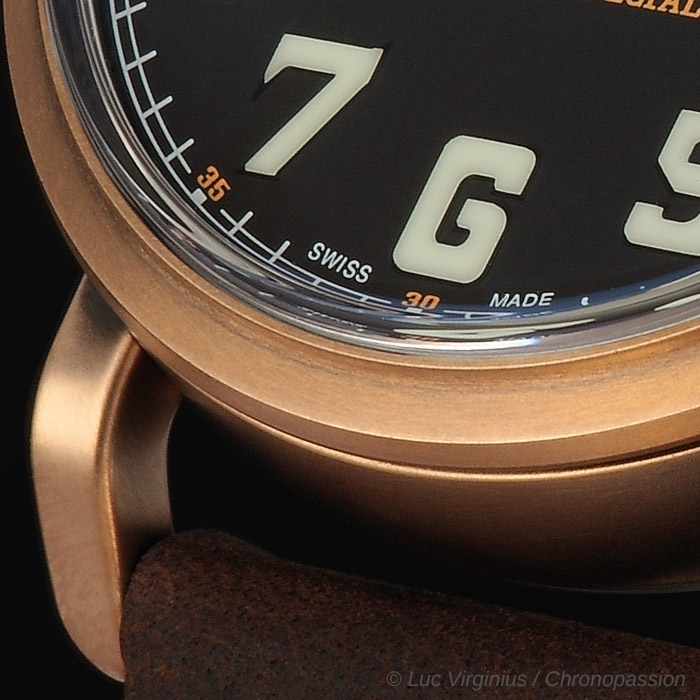 Operating at a frequency of 28,800 vibrations per hour (4 Hz), this accurate and reliable Manufacture-made movement driving central hours, minutes and seconds hands has a 50-hour power reserve. 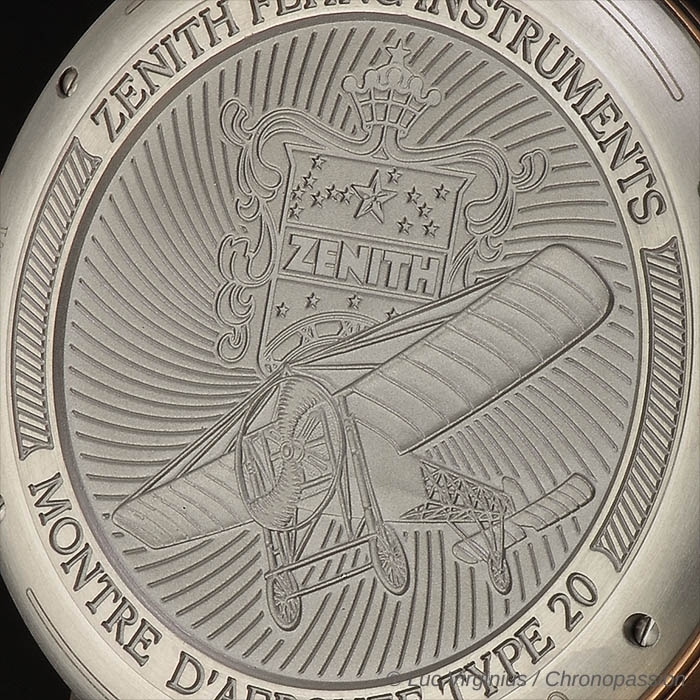 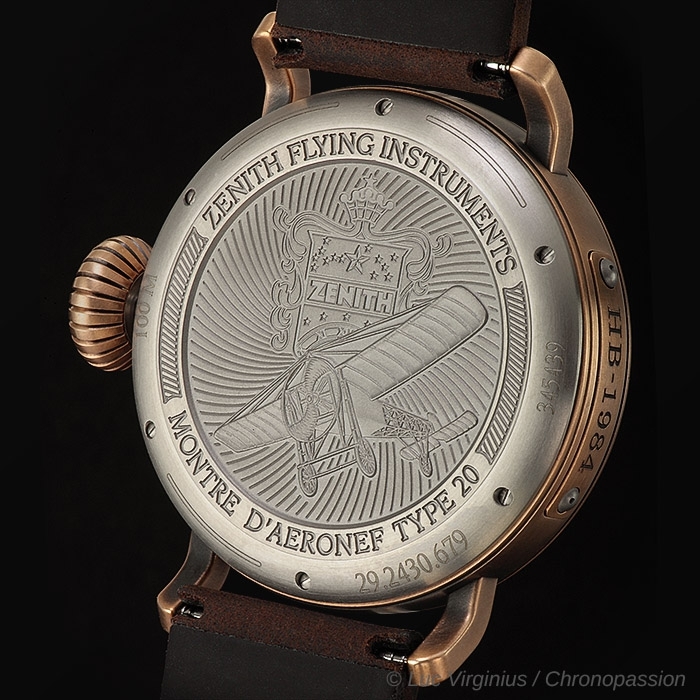 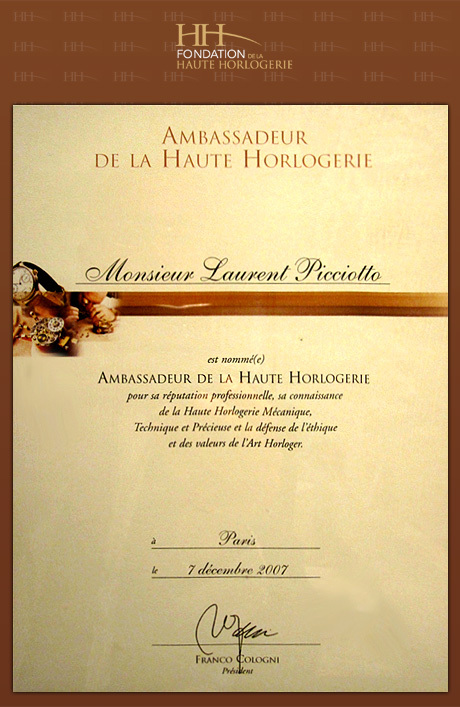 The solid titanium case-back, bearing an etching of Louis Blériot’s plane and adorned with the Zenith Flying Instruments logo, is a vivid reminder of its legendary origins. 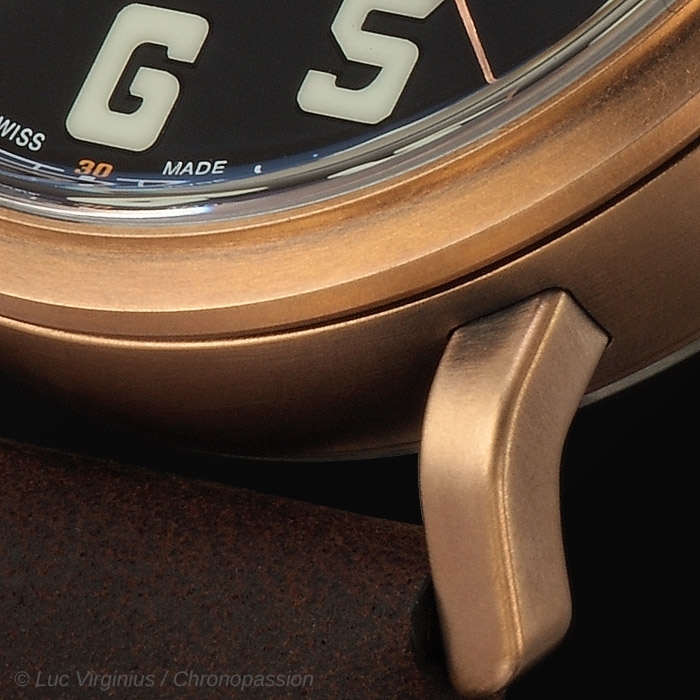 A rubber-lined Nubuck strap fitted with a titanium pin buckle sets the final touch to this vintage-spirit timepiece made for adventurers with a thirst for wide horizons.